Lowest Price is What Matters Right? No. Sell VALUE! Do You Have a Brand? Yes, Everyone Has a Brand. Make Things Happen! Do You? Would You Buy from YOU? What’s Your Brand of Communications? Are You Passionate About Sales? Which Way Do You Want Go? 9 overused expressions… Please go away! Why do we think the way we think? What do you do with your 168? CLICK BELOW TO ORDER RYAN’S BEST-SELLING WOULD YOU BUY FROM YOU? BOOK TODAY. 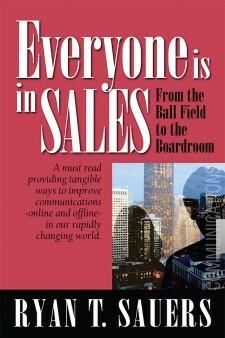 Click below to order Ryan’s Best Selling Everyone is in Sales book today!